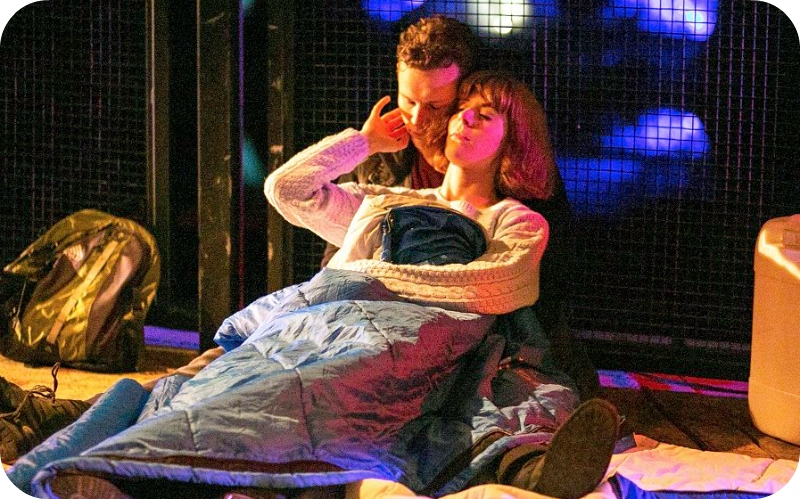 Wolf-Sister Productions seek out the fun in Shakespeare’s romantic tragedy, bringing a cheeky and highly spirited version of Romeo and Juliet to the stage. Banter between Montague’s, Benvolio, Romeo and Mercutio, is realistic of the modern playground. Tormenting and teasing one another. 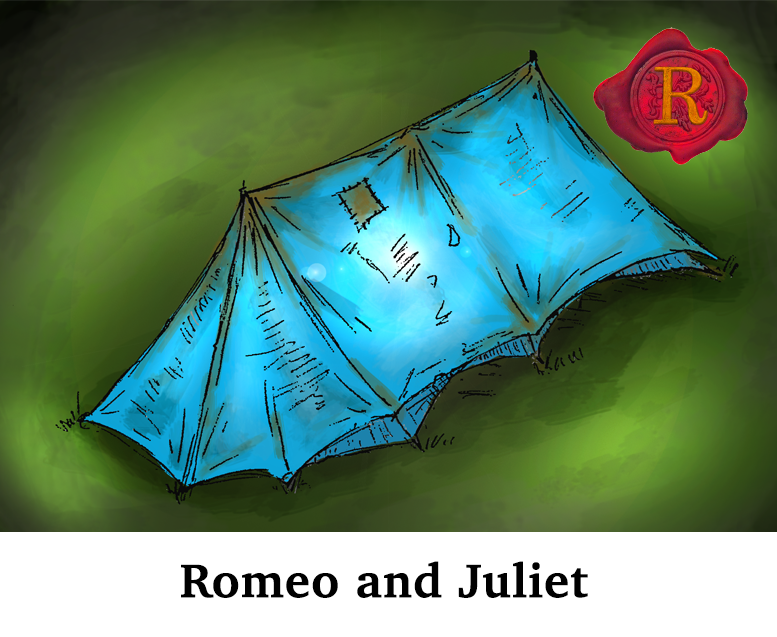 Through joy and humour, the destructive, catastrophic disasters of Romeo and Juliet are made even more heartbreaking. A lovesick, moody teenager, Romeo. A strong, rebellious lady, Juliet. Two houses, two homes at war; the Montague’s and Capulet’s feud puts a new lovers affair at risk before it’s even begun. The renowned balcony scene between the two lovebirds is full of mischief and light with young love. An exciting, and invigorating introduction to Romeo and Juliet’s lust which makes this 418 year old story feel brand new. James G Nunn and Rhiannon Sommers fuel this effect on the audience. A sensual relationship between Benvolio (Genie Kaminski) and Mercutio (Niall Ransome) has been directed by Alex Pearson, experimenting with different gender roles not only playing the characters but the roles themselves. This second love affair adds a fabulous twist to this tragedy, giving Mercutio’s death more poignance than in it’s traditional state. When wounded, Ransome holds Mercutio in a tender balance between being a boisterous fighter and feeling beaten by betrayal. Another shift in direction to the conventional productions of this play, Esther Shanson plays a sensitive Lady Capulet, considerate to her daughter’s feelings yet determined by her husbands demands. 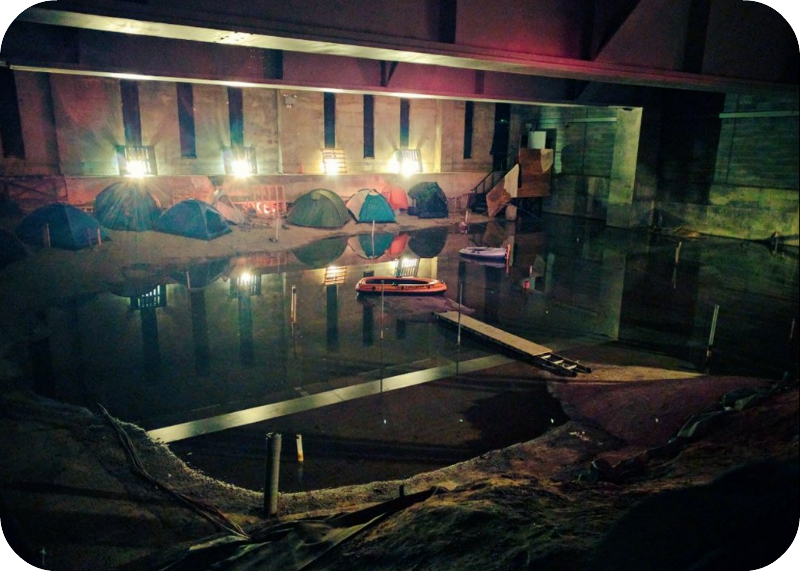 Performed in front of the backdrop of illuminated tents and strung up dinghies, Wolf-Sister productions reminds its audience of the torment and struggle refugees are currently experiencing through the themes within Romeo and Juliet; families torn apart, lovers banished from home and the fight to survive. 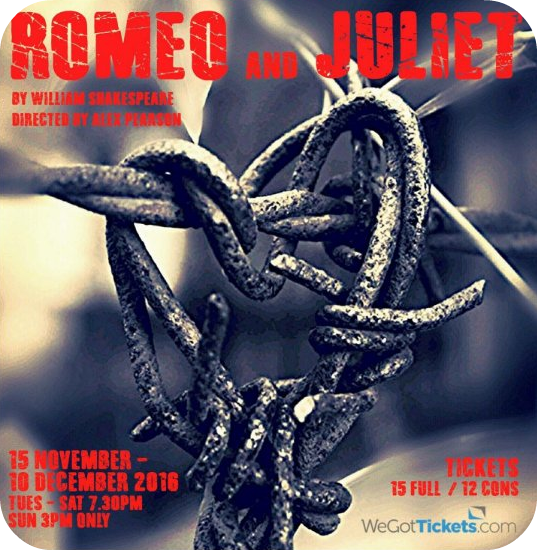 This production of Romeo and Juliet is a steal at just £15/12 a ticket, get over to the stunning Rose Playhouse, Bankside’s first Tudor theatre, to experience this moving tale.